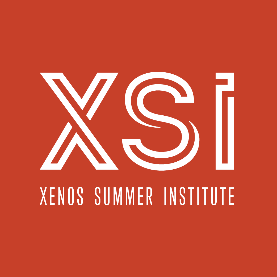 One of the most important volunteer roles for the Xenos Summer Insitute (XSI) can be done from the comfort of your home or the convenience of your office. Consider becoming part of the XSI Prayer Group and you’ll stay up to date on the current prayer needs and the exciting ways God is working. When you join the XSI Prayer Group, you will receive a weekly email starting in March and ending in July. You can join today at this link. You must be a Xenos Home Group member to join. XSI staff members say having the support of a group of people informed about what to pray for is invaluable. It’s imperative that people are praying for the speakers, the staff, and the attendees and the logistical components of this event. This year’s Summer Institute runs from July 11-13, and the theme is The God Who Is There. Key speakers are J. Warner Wallace and Sean McDowell. You can register online now and volunteer recruitment starts in April. Visit xenos.org/xsi for more information.